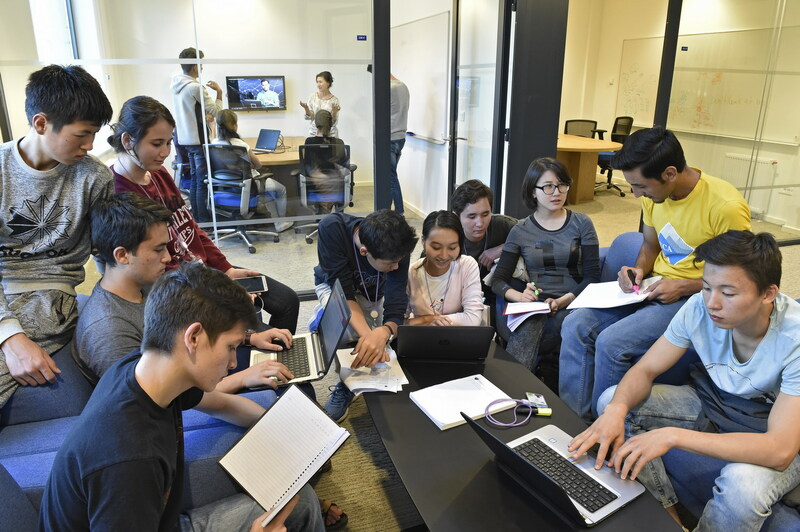 UCA's diverse undergraduates gather in one of the many student spaces. 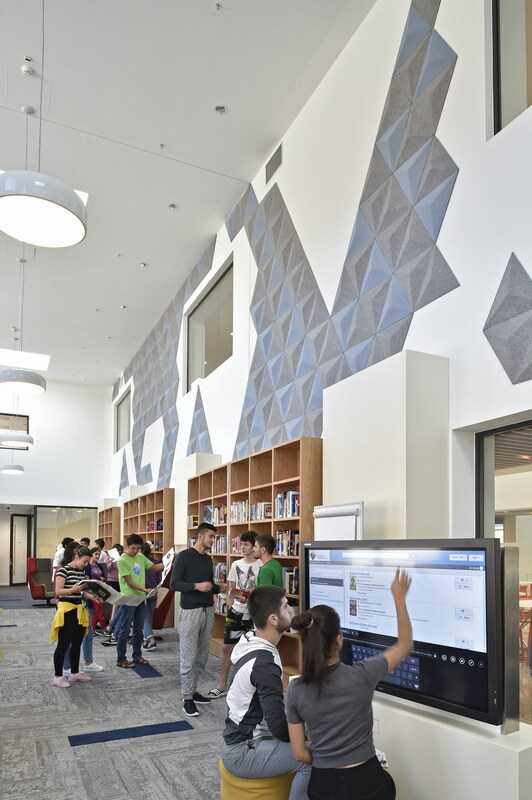 The University Library provides students access to a rich collection of books, periodicals and online databases. 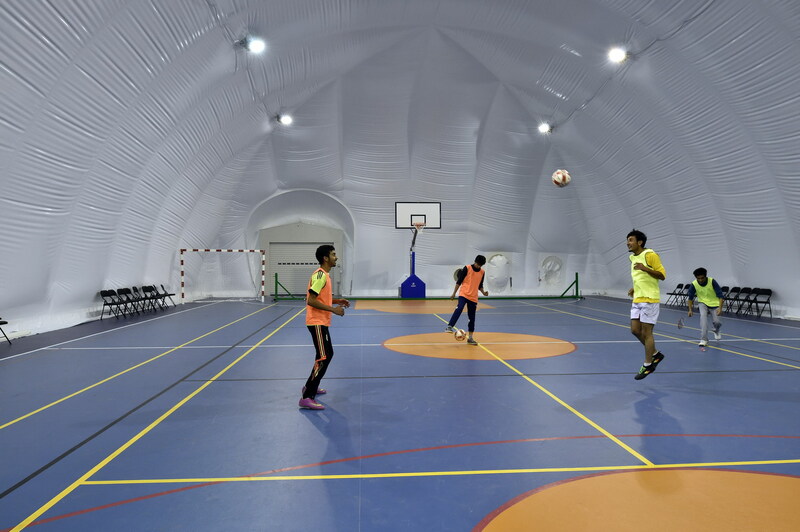 Students practice their football skills in UCA's Sports Dome. 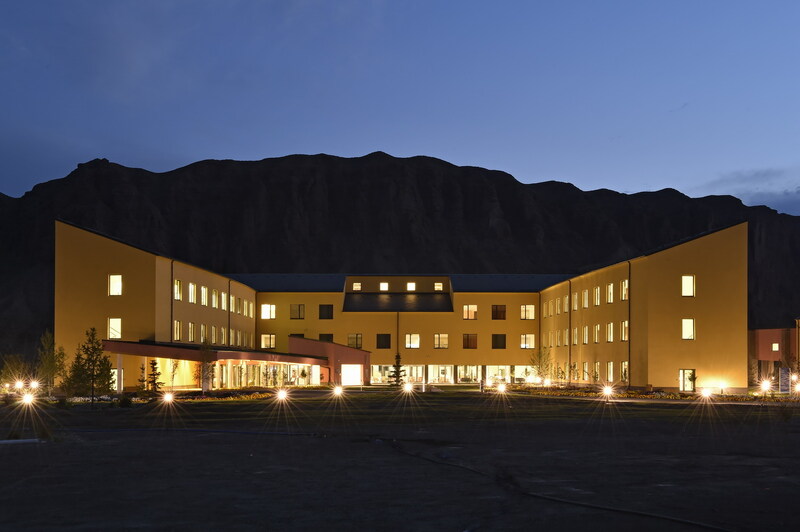 The UCA Naryn Campus reflects the first of a multi-phase construction plan. 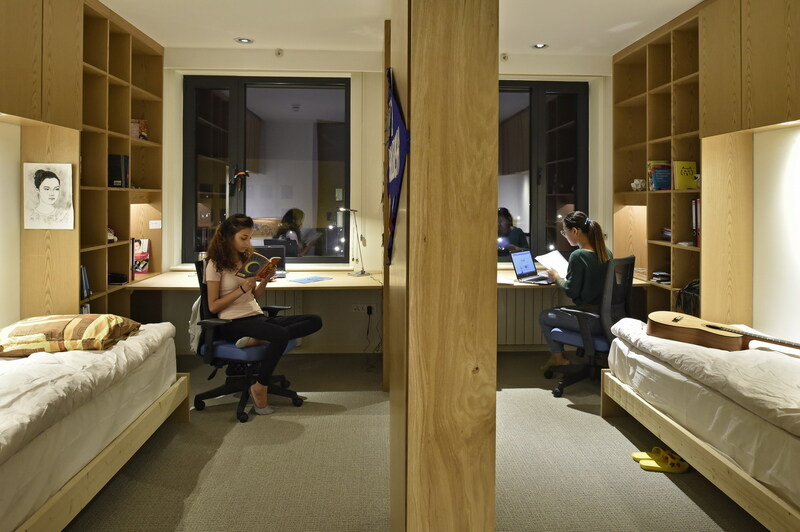 Modular student dormitories can be configured based on students' preferences. 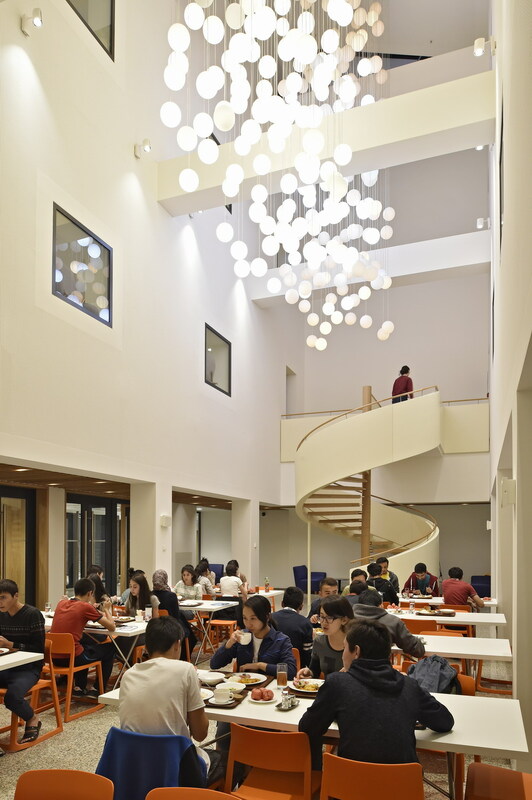 The University dining hall doubles as an event space. 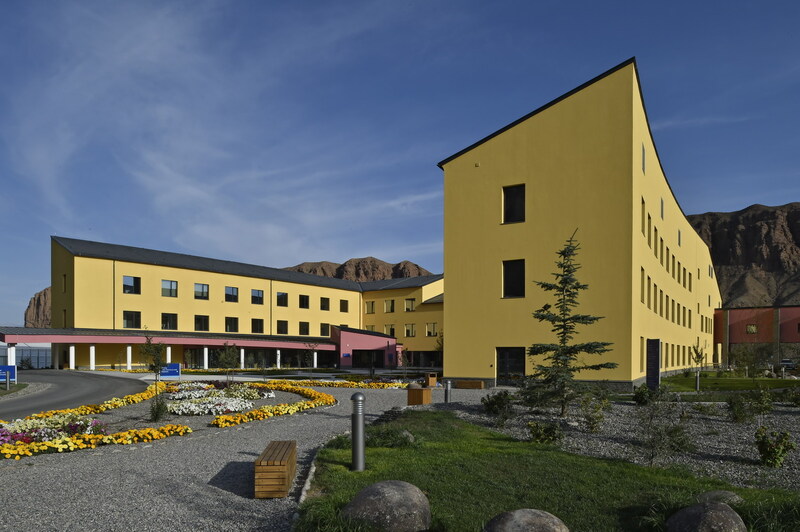 UCA's mountain surroundings offer unique learning landscapes. 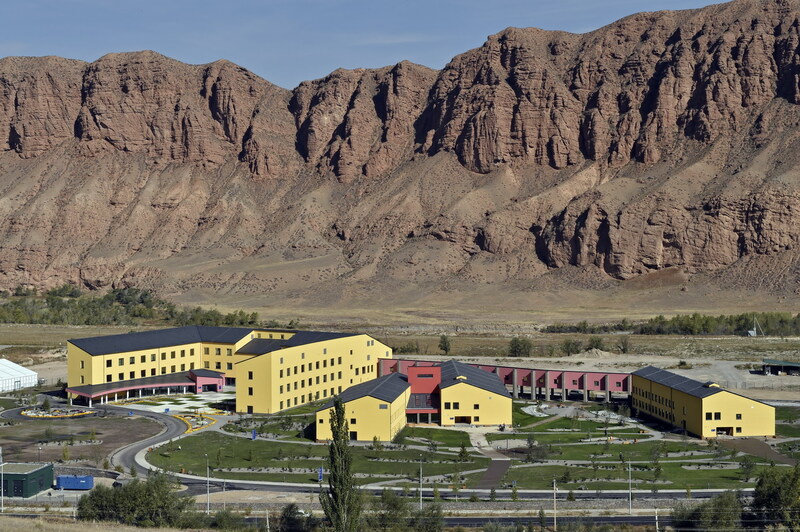 The UCA Naryn campus lies on the banks of the Naryn River, surrounded by the Tien Shan mountain range. 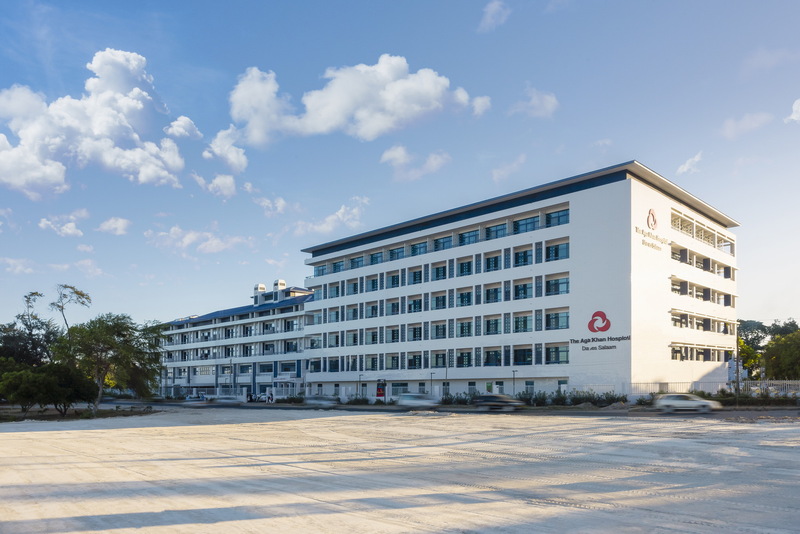 UCA campuses feature academic, athletic and residential facilities surrounded by extensive landscaping works. 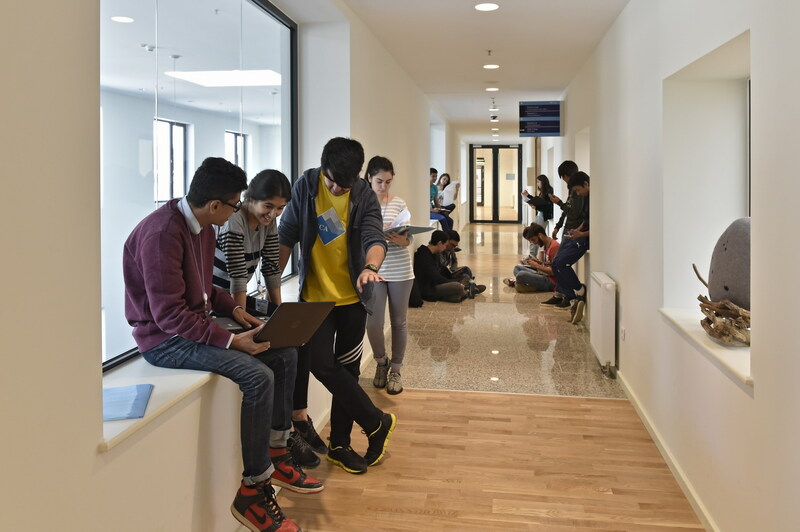 Student-centred instruction and small class sizes encourage participation. 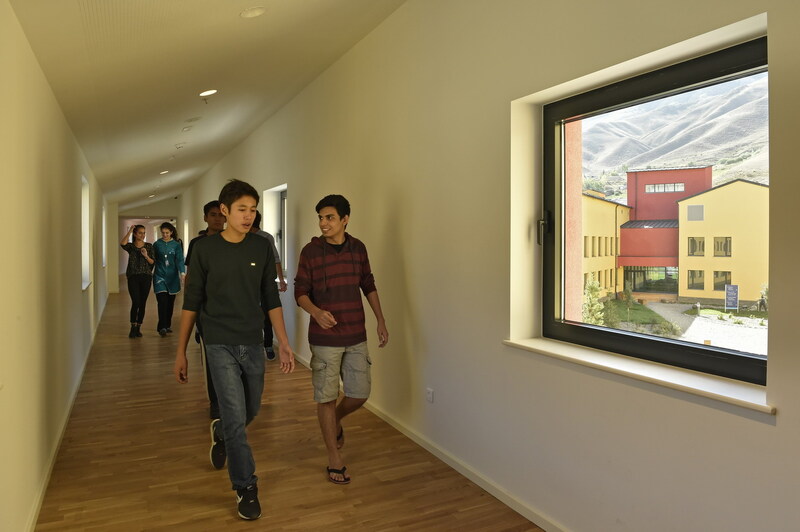 The campuses use a biodynamic lighting to simulate natural light year-round. 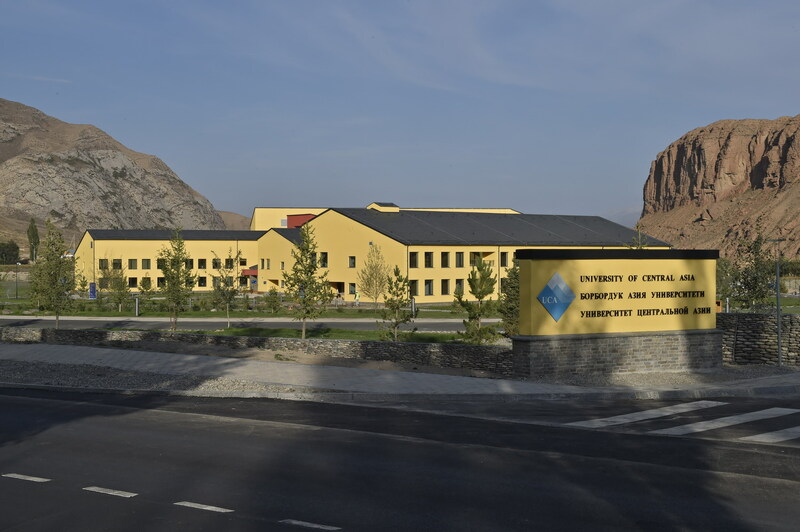 The first phase of University construction completed at the UCA Naryn campus. 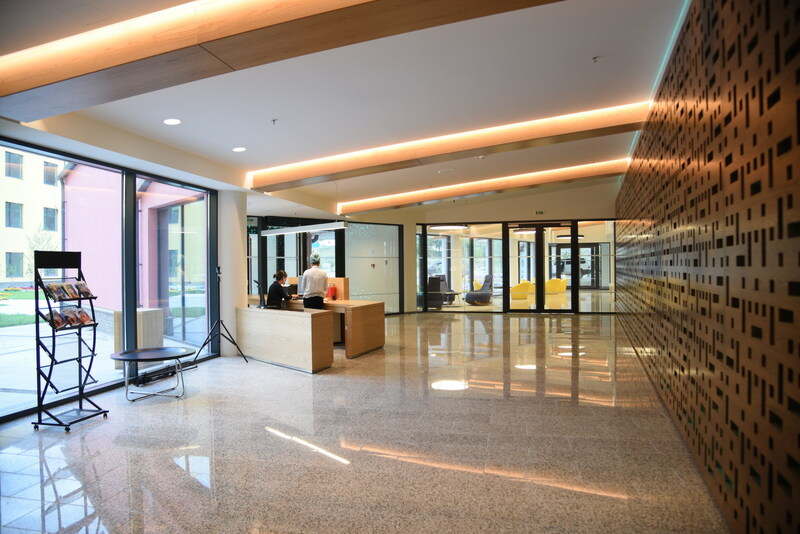 Alcoves in the academic building offer meeting and study spaces. 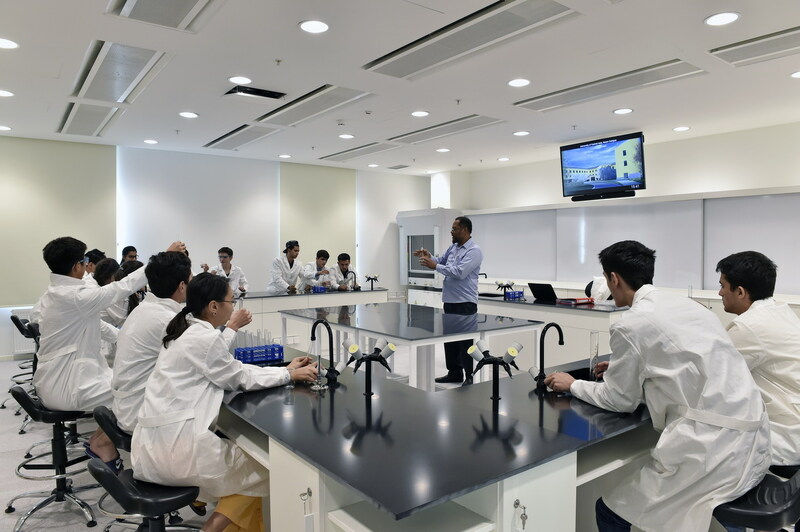 Undergraduates study science in campus laboratories. 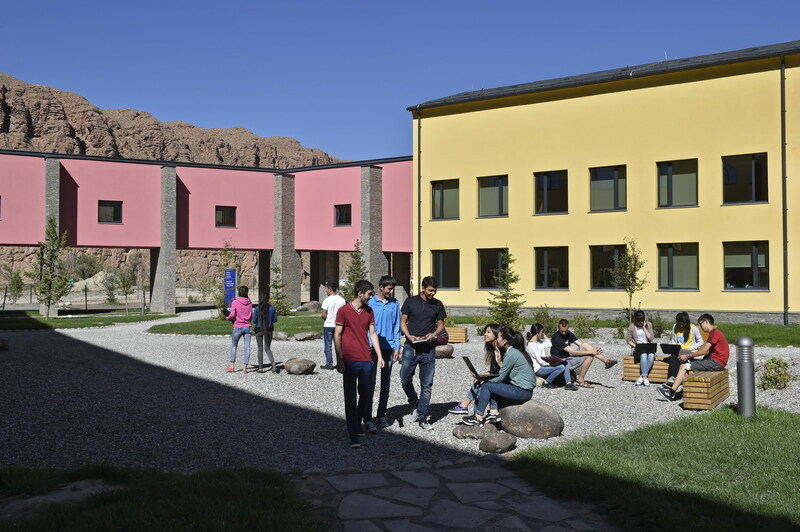 Students at UCA's Naryn Campus enjoy outdoor spaces to study, socialise and interact with nature. 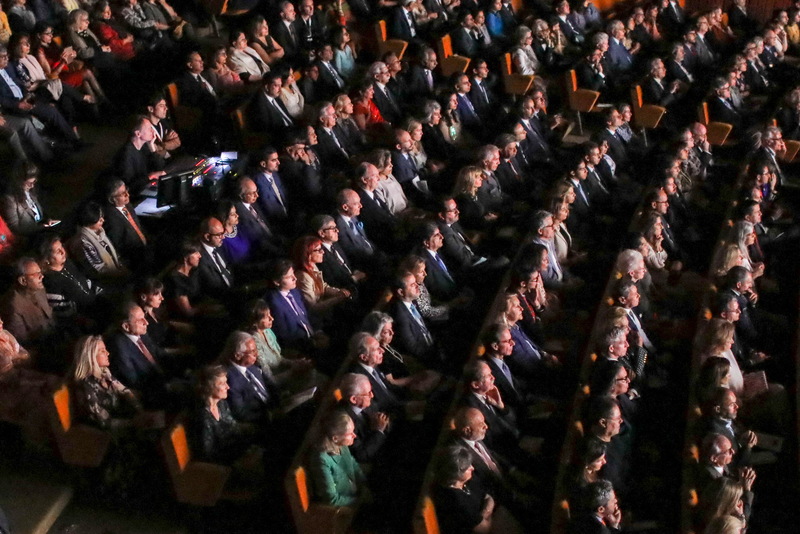 Undergraduates represent five countries and nearly 40 per cent are women. 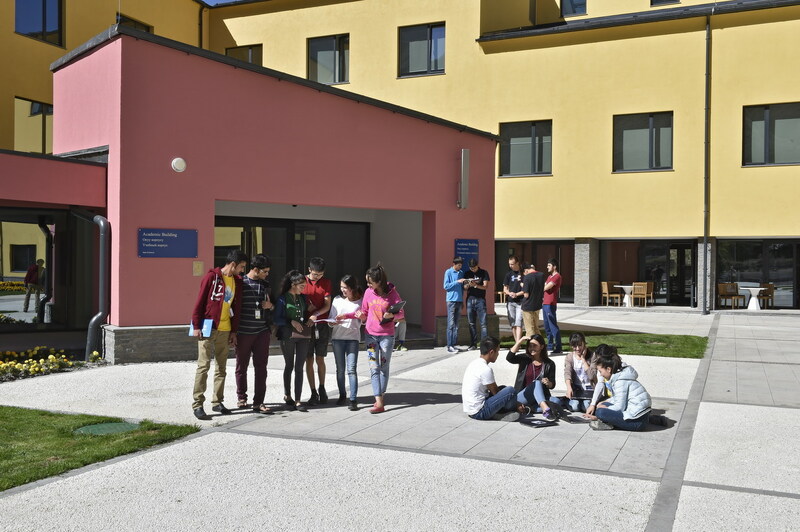 Campuses feature covered walkways between buildings. 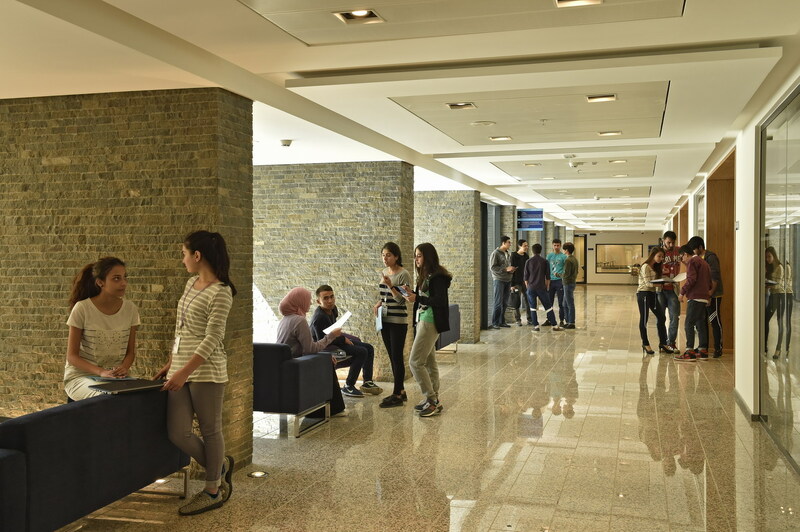 Phase I facilities accommodate 150 students per campus. 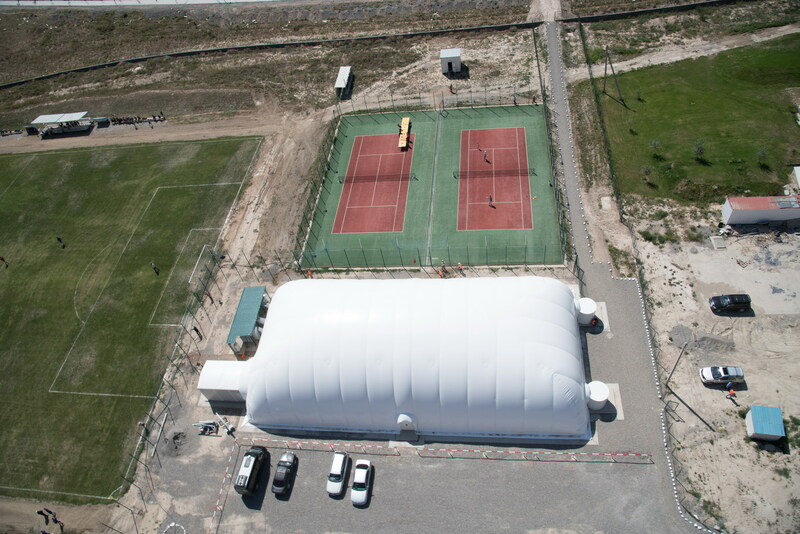 UCA's Sports Dome will host tennis, basketball, badminton, volleyball and football 365 days a year. 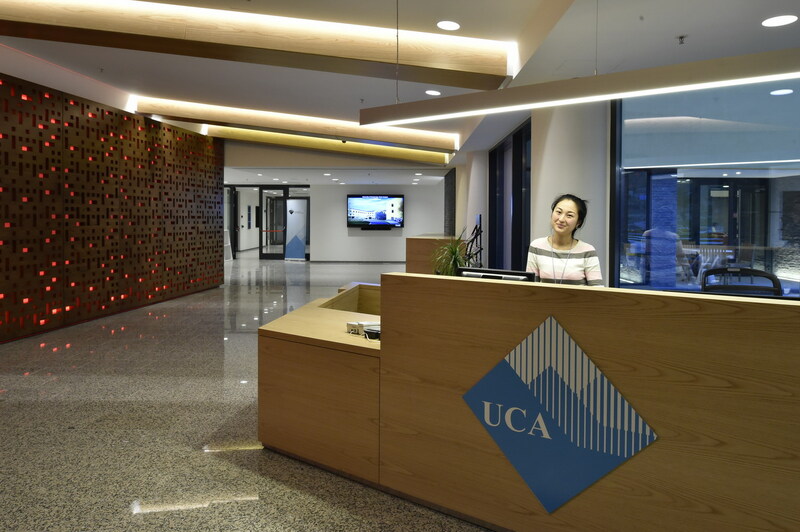 Academic Building Reception area showcases innovative biodynamic lighting technology from the United Kingdom against a hardwood wall built by Kyrgyz company Integra. 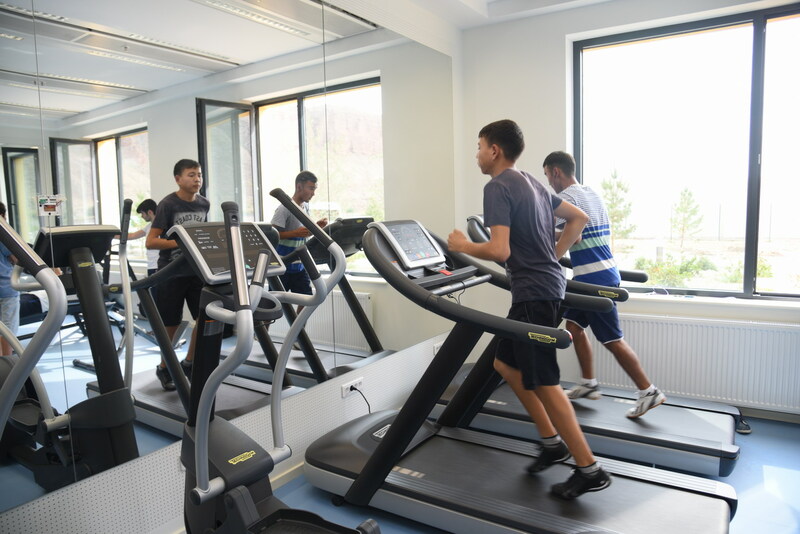 Students exercising at the gym. 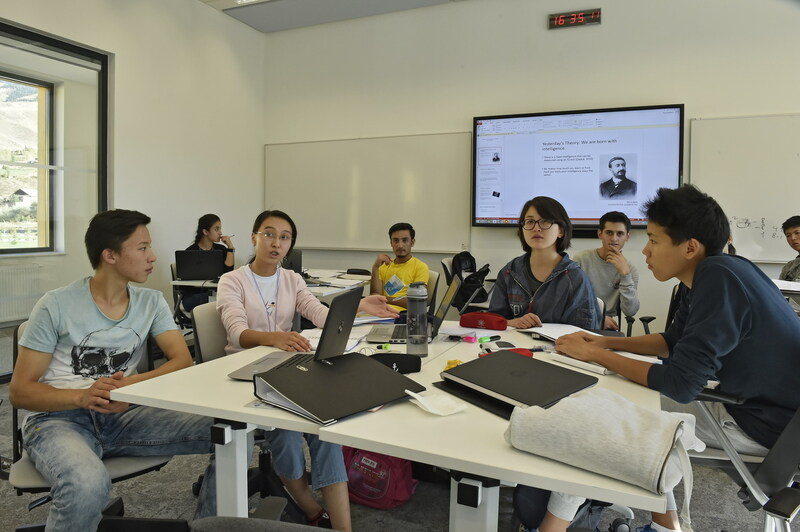 Dr Roza Kazakbaeva explains the English course syllabus to UCA's undergraduates. 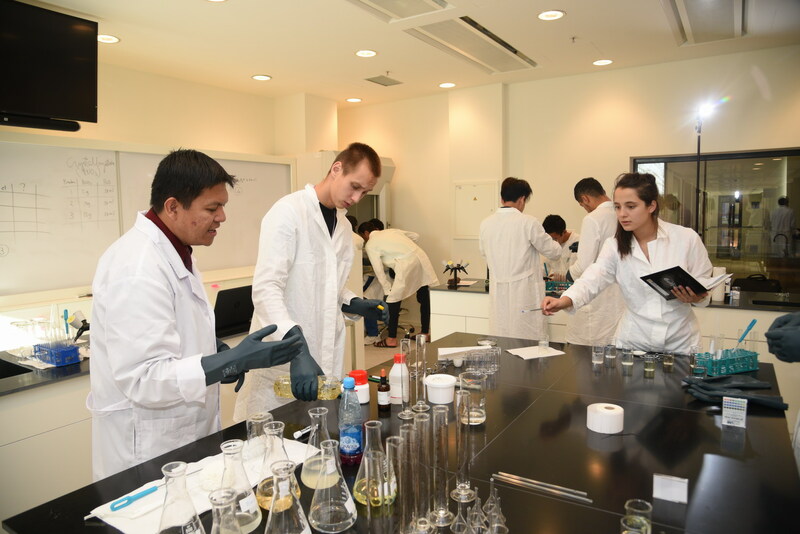 Chemistry laboratory experiments in progress during science class led by Ian Canlas. 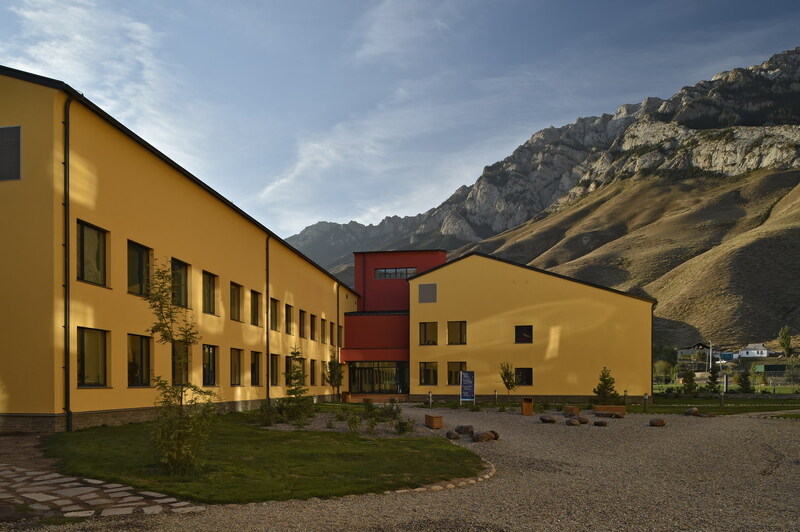 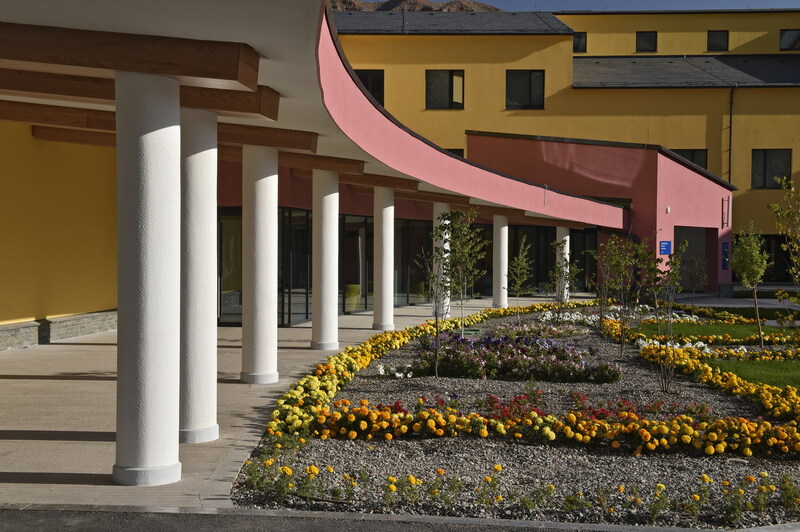 UCA Naryn Campus, Kyrgyz Republic. 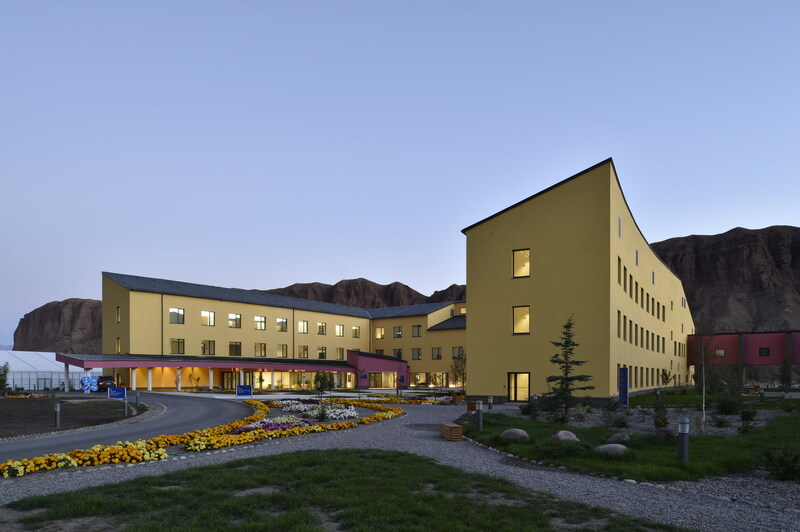 Naryn, Kyrgyz Republic - The University of Central Asia (UCA) is a regional, fully residential, internationally chartered university devoting considerable resources to mountain-based research. 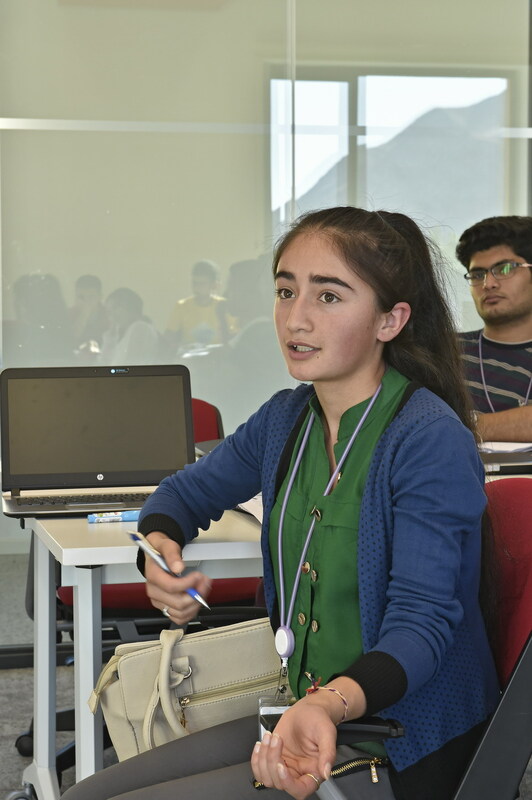 It is a secular, private and not-for-profit university founded by the Governments of Kazakhstan, the Kyrgyz Republic, Tajikistan, and the Aga Khan Development Network (AKDN). 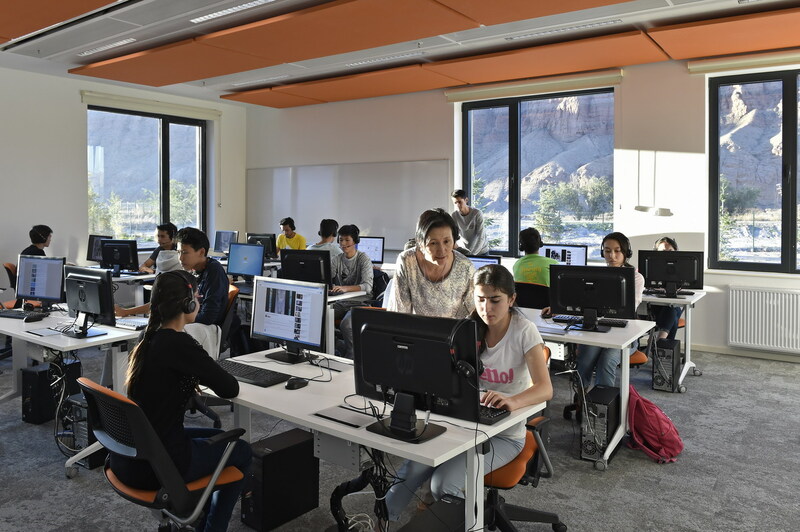 The pioneering class of undergraduates began their educational journey at the first of the three residential campuses, located in Naryn, Kyrgyz Republic on 5 September 2016.